Muay Thai, also known as Thai Boxing is a combat sport considered as a fighting art. In Thailand, it's practised by men, women and kids. It's an art but also a tradition. Don't mix Muay Thai and Kickboxing which may look similar but have different techniques. Kickboxing is a sport which is using kicking and boxing techniques while Muay Thai has a ceremonial aspect and it's using additional techniques like elbow and knee strikes and clinches which are not allowed in Kickboxing. Here is for the short explanation. 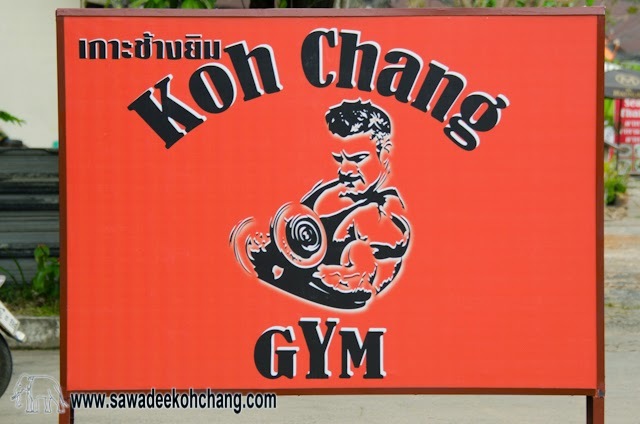 If you want to learn or to practice Muay Thai while you are on Koh Chang here are the best places where you can train. You don't need to have a muscular and fit body, everybody can do it. Learning the basic can be also useful for a self-defence. Located on the road to Santhiya Tree Resort, before Wat Klong Prao if you are coming from White Sand beach. They have a big experience in professional training and fights. They can train everybody, from kids to advanced fighters. Located at Rung Rueng Market, you will be trained by professionals. Beach Jungle which is an excellent hostel is also proposing Boxing Fitness Classes. Jeen has been regularly training in different Koh Chang gyms for more than 6 years and she is now co-managing the new Beach Jungle with her partner Adam. She has discovered her passion for teaching and she is a natural at it! Nothing to do with Muay Thai but they also have a ping-pong table and if you succeed to beat Adam out of 3 sets, you will get a free drink. A good way to end your training. Koh Chang Thai Boxing Camp is the oldest Muay Thai camp on the island. They offer different training programs, Pro-Fighter, Advance, Beginner, Fitness-Weight loss, Woman self-defence and Kids. They can also arrange transfers and accommodations. On the last news, the camp was for sale. Contact them in advance from their Facebook page as the website is not available anymore. Professional Muay Thai fights are also arranged on Koh Chang. I can't tell you when, it depends on the seasons. They have been organised at Sabay Bar in White Sand Beach in collaboration with Sakaran Smile Club Gym and PP Wanrung Koh Chang Muaythai Gym.